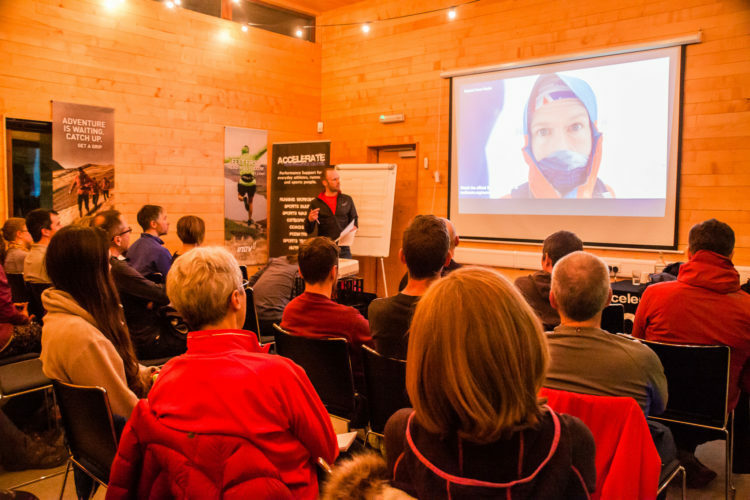 This years BIG Running Weekend evenings are set to be informative, fun, and thought provoking, with talks and films from Rob Jebb, environmental advocates and clothing manufacturers (from recycled materials in many cases), Patagonia, and mini talks on a variety of running related topics from local speakers. They will be fully accessible and ideal for the whole family. 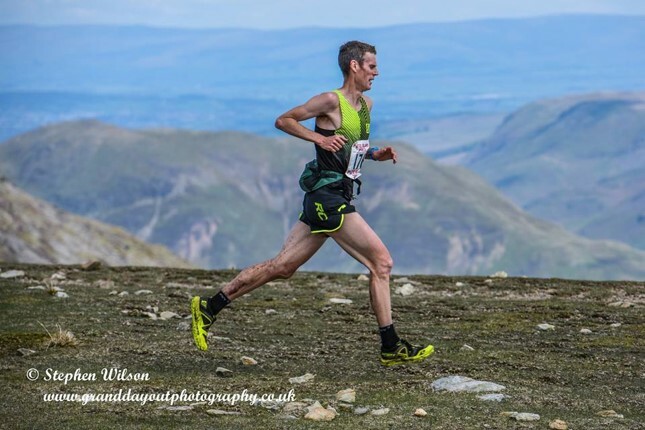 Rob is a fell runner, skyrunner, cyclo-cross rider and Yorkshireman. He has won the Three Peaks Cyclo-cross in the Yorkshire dales a record ten times since the year 2000, and the Three Peaks race four times. He became champion at the Skyrunner World Series in 2005. In July 2016, he completed the Bob Graham Round in 14 hours 30 minutes, then the second-fastest round of all time and the first time any runner had come within an hour of Billy Bland’s 1982 record of 13 hours 53 minutes. 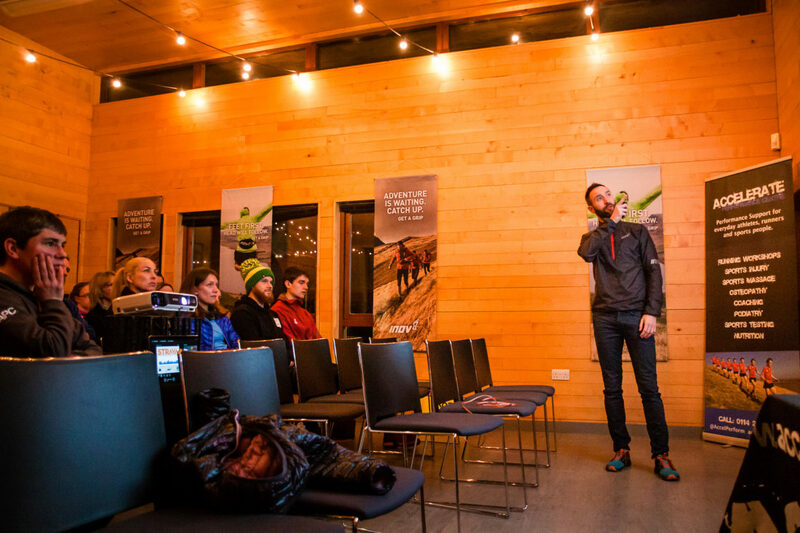 Come and listen to tales of his achievements and get the chance to ask questions before heading out for a led headtorch run. 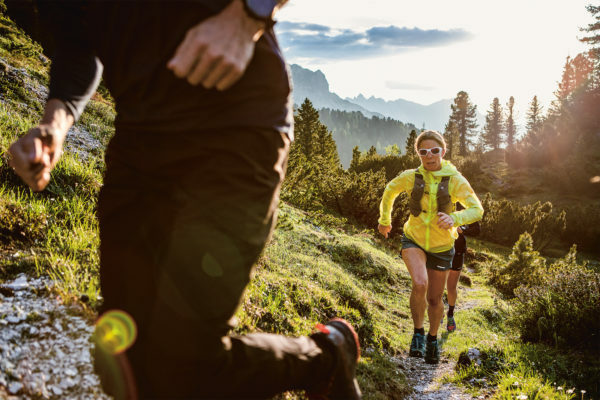 A series of three mini talks exploring the impact we have as runners on the environment. Our guest speakers have a host of experience of looking into ways we can minimise our impact. Each will take centre stage and take us through the things we can all do, starting today, that can make a difference and that are not as difficult to do as we may think. Rob Cole – Sheffield Sustainable Kitchens will be ‘Showing and Telling’ as he explores the impact washing our running kit has on the seas and rivers of the World. Stu Walker – Tidal Engineer and Founder of Runners Against Rubbish will look at ‘Rubbish’. Alex Hinchcliffe – Geographer and Environmentalist, the youngest of our guests will be considering the impact of the food we eat. They will each be up against the clock as they 15 minutes each and this will be followed by a Q&A session… then it’s film time! As part of this ‘Leave Nothing but Footprints Take Nothing but Photographs’ Series look out for the Patagonia Worn Wear Van on Friday, the Friday Plogging Runs and leading Sports Photographer Ben Lumley talking about ‘Getting the Most From your Camera Phone’. Patagonia are a clothing brand with a passion for sustainability, and to date have awarded over $89 million from their profits to domestic and international environmental groups making a difference in their local communities. They also take environmental responsibility and sustainability very seriously in their business model, striving to reduce their waste and carbon footprint, and offering a ‘worn wear’ repair service for damaged kit rather than throwing away and buying new. Their documentary film ‘Takayna’ looks at the challenges facing conservation today, and the important role our remaining wildernesses play. It focuses on one of the last areas of old-growth rainforest in the world in Tasmania, which is currently subject to destructive industries such as logging and mining. CHLOË LANTHIER, Patagonia Ambassador, boasts more than 20 years of experience as an international mountain runner and biker. Canadian born and now living and working in Chamonix, Chloe runs her own Training Company, living and breathing outdoor sport, has an Msc. in Biomechanics and Human Performance, coupled with a BA in Exercise Physiology. Chloë will be onsite later on Saturday and talking from 7.30pm in the Sycamore Suite. She will be discussing, “Why running and for her the different dimensions it brings to her life”. She will also tell us what she has learnt from running, from her racing and her joy of ‘quality mountain time’. Chloë will also follow the theme of the evening as she looks at what we should be aware of as runners regarding the environment. Accelerate Performance Centres resident podiatrist Colin Papworth talks all things injury – what might cause one, how to manage it and how you can reduce the chances of getting one. Whether you have an injury or not there’ll be lots to learn in this presentation! The venue for the Talks and Films. Do you have questions about any aspect of running? Come along to this panel Q&A and ask them! *Almost* no topic is off limits! The panel will be made up of leading local athletes and coaches who between them have plenty of experience. Join Margo Duncan, Dot Kesterton, Laura Inglis, Stuart Bond and teenager Kieran Loombe who will all introduce themselves and then ask away. Between them they have represented their country, won county honours and just love to run in the outdoors. You can drop your questions in the box in the foyer in advance if you want to stay anonymous.